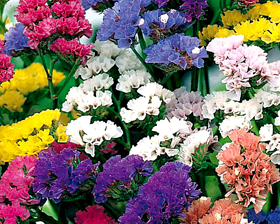 One of the best quality mixtures available, offering a comprehensive mixture of colours: white, pink, lilac, yellow, rose and purple. 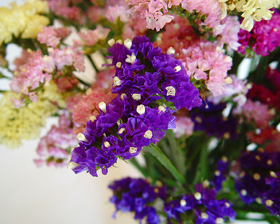 Excellent garden plant and dried cut flower as the larger than usual blooms hold their colour superbly after drying. Height: 40-50cm. Sow in February/May in a greenhouse, propagator or warm position indoors on the surface of a good seed compost and cover with a light sprinkling of compost. Germination takes 7-14 days at 18-24C.